Vanja Terzic is in a sunny mood, as you might expect from someone who escaped Vancouver’s November drizzle for Melbourne’s blue skies. The Bosnian-born University of Toronto mechanical engineering graduate is on a study exchange at Melbourne Business School to finish his MBA from UBC’s Sauder School of Business. When Terzic is done, he’ll take a few weeks to travel around Australia and India before returning to B.C. to start the next phase of his career. As lovely as the weather is down under, his future is what has him beaming. 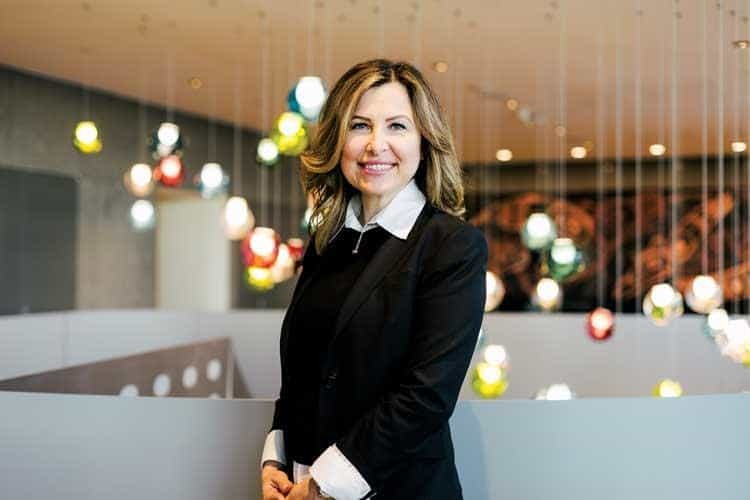 Terzic’s career started on a path that aspiring corporate executives have followed for decades. Do an undergraduate degree in an in-demand field like engineering. Work your way into management roles. Then take a couple of years off to earn an MBA and polish up some business skills. From there, the C-suite beckons, perhaps at a bank or a big consulting firm. Wingtips and pinstripes aren’t on Terzic’s agenda, though. “I’ve always wanted to do something to help others,” he says. “So when I heard about this opportunity at Sauder to volunteer in Kenya and teach a course in social entrepreneurship, I jumped at it.” His internship in Kenya last summer changed him. He’s going to pursue his newfound passion for social enterprises instead of chasing a life in corporate management. Terzic is part of a trend that’s reshaping business schools in B.C. and across Canada: more graduate-level business students are deciding that the traditional track through a full-time, two-year MBA program to a corporate career doesn’t suit them. They want their degrees to expose them to and prepare them for a broader range of challenges. They want their education tailored to their varied backgrounds, lifestyles and ambitions. For some, this means seeking part-time, distance or flexible programs to fit with their work schedules. For others, it means pursuing specialized MBA programs like the master of technology at SFU’s Beedie School of Business. For others still, it means pursuing even more specialized, non-MBA business master’s degrees, like a master of finance, or the master in environmental economics and management at Thompson Rivers University in Kamloops. For Terzic, it meant enrolling in a program that he felt would prepare him for anything. Fewer Canadian students have been seeking MBAs in recent years, adding another challenge for business schools. Sixty-two percent of the country’s MBA institutions are experiencing declining applications from domestic students, according to a 2017 Graduate Management Admission Council survey. Many are turning to international recruitment, with 78 percent taking more applications from abroad. International students represent 64 percent of applicants to Canadian MBA programs and have an even stronger presence at some schools. They fill more than 85 percent of the seats at Vancouver Island University’s MBA classes. International students are particularly drawn to full-time, two-year degrees because such programs make them eligible for three-year post-graduation work permits from the federal government, which in turn gives them a path to permanent residency. They often can’t get student visas to study part-time. Domestic and international students alike have ever-increasing options as business schools work to fulfil their changing demands. Larger institutions are diversifying their course and program offerings, as well as their delivery models. At Sauder, students can choose from a smorgasbord of MBA and non-MBA programs in areas like finance, entrepreneurship and business analytics. They can study full-time or part-time. Smaller institutions try to excel in particular niches. For example, if you’re a working professional who wants an MBA education with face-to-face interaction and classes on weekends, University of Northern British Columbia’s program was made for you. There’s never been so much to choose from when deciding on a graduate business degree. Here’s a sampling of what’s on offer at eight B.C. 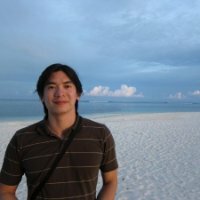 universities—and the unique traits that could make one of the programs a perfect fit. Warren Eichhorst is a pragmatic sort who doesn’t like to jump through unnecessary hoops. The 2015 Royal Roads MBA graduate began his career with a technical diploma in software development because he thought a bachelor’s degree, with all its electives, would be an impractical use of time and money. Programming jobs eventually led to a leadership role as VP of product and technology at Burnaby-based startup Conasys Inc., a maker of software that helps condominium developers interact with their homeowners. Eichhorst decided that he needed to enhance his business knowledge. Pragmatism drove his choice of MBA schools. “I need something that is going to enable me to work, have somewhat of a social life, as well as give me the end goal of learning,” he recalls thinking. “Royal Roads is the best fit for me given the flexibility.” Eichhorst is now VP of information technology for Go Direct Supply Chain Solutions Inc., a Richmond-based logistics firm. Royal Roads’ 18- or 31-month programs begin and end with a three-week residency at its Victoria campus, with the rest of the coursework delivered online. The residencies forge strong relationships among students with an intense schedule of classes, group work and team-building activities. Distance learning for the rest of the program maximizes flexibility for working people. This blended delivery aims to give students the benefits of both face-to-face and distance-learning models. Allen MacKinnon was a UBC-educated engineer working his way up the ranks at Westport Innovations Inc. (now Westport Fuel Systems Inc.), a Vancouver-based maker of clean-burning fuel technology for trucks, trains, ships and industry. His company merged with New York–headquartered Fuel Systems Inc. in mid-2016, and the discussions leading up to the deal prompted him to realize that there was much about the business he didn’t understand. MacKinnon, now Westport’s director of product operations, jumped to start the MBA he had contemplated for years. The school location was important for him, and he thought learning alongside a like-minded cohort of students would be crucial for a better experience. 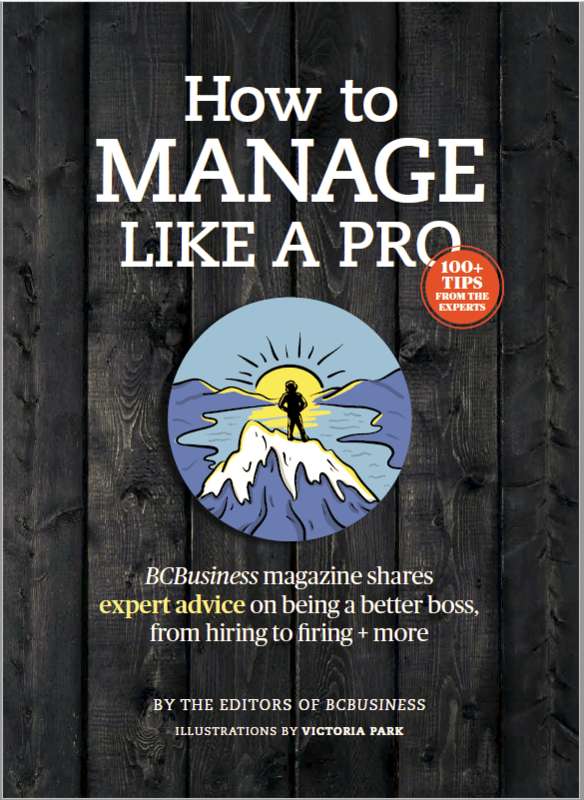 So when MacKinnon decided on where to attend, he settled on Beedie’s management of technology MBA—a 24-month, part-time program held at the school’s downtown Vancouver campus. Janelle Zimmer thought about pursuing a traditional, generalist MBA, and she works as an IT business analyst and studies at TRU in Kamloops, where she could earn one. But Zimmer decided that she’s committed to a career that combines environmental stewardship with business practices. She’s among the first cohort of students enrolled in TRU’s master in environmental economics and management program, which started last fall. Zimmer believes her degree will give her specialized skills and knowledge that will become increasingly in high demand. “It really sets me apart from other MBA students,” she says. The program offers two degrees: a course-based master’s (MEEM) and a research-based master of science (MScEEM) that gives students a step toward a PhD. Both share foundational courses with TRU’s MBA program. TRU’s MBA is a generalist degree with full-time and part-time options; students can customize which classes they take on-campus or online. Part-time students, who create individualized course loads for themselves, have up to five years to finish. TWU’s MBA program is young but growing like bamboo shoots. It opened its doors in 2006 but already has two locations in the Lower Mainland and three in China. The Chinese expansion began in Tianjin in 2013, and the Beijing and Shanghai branches were approved last summer. In Canada, TWU’s Langley campus offers three specializations: management of the growing enterprise, international business, and non-profit and charitable organization management. Its Richmond campus offers just the international business specialization. Both 21 months long, the growing enterprise and non-profit specializations combine online courses with face-to-face classes in Langley. International business students can choose to study in Langley or Richmond, under a uniquely flexible format. That begins with a personalized study plan. “We sit down individually with each student and say, ‘OK, tell us, when do you want to start? When do you want to finish?’” explains TWU MBA director Murray MacTavish. “You can do the program in 12 to 21 months. You can take up to five years, frankly, but only a few people have needed longer periods.” Two years is the norm. UBC offers a breadth of graduate business programs befitting B.C.’s largest university. Although Sauder’s 16-month, full-time MBA may be foremost in people’s minds, the school has four different MBA programs and three master’s-level non-MBA degrees. In addition to its full-time program, Sauder offers a part-time, international MBA based in Shanghai; a dual JD/MBA jointly administered with the univer­sity’s Allard School of Law; and a recently revamped part-time offering built for working professionals that it calls a Professional MBA. The school’s non-MBA business master’s programs include master of management, master of business analytics and MSc in business administration degrees. The Professional MBA, whose first cohort began in January, is Sauder’s newest program. It’s a 24-month, part-time degree with classes delivered every two or three weekends. Sauder reworked the scheduling based on student feedback on its previous part-time program, to better suit students working full-time. Gone are the Friday-night classes: “They were not optimal learning times,” says Michael Holaday, director of recruitment and admissions. New are three eight-day, full-time residencies at the beginning, middle and end of the program, designed to help students engage and bond with one another. Still remaining are the biggest draws of a Sauder MBA: the school’s professors, academic reputation and network. Kevin Stewart was a senior IT manager for UNBC when he thought about applying for a promotion. “I was told, ‘Don’t bother. You don’t have a degree,’” he recalls. Stewart decided to pursue an MBA, and lo and behold, he found his employer was his best fit. UNBC’s MBA program is a tale of two cities. The school offers a 21-month weekend format at its main campus in Prince George and at Langara College in Vancouver. Classes are held one weekend per month with two additional one-week sessions, giving students freedom to continue full-time jobs. The program emphasizes face-to-face learning rather than online course delivery, although students collaborate remotely or face-to-face between classes. For Stewart, UNBC’s location was ideal, but he was most attracted to the schedule and wanted to learn in-person. “I really found that a huge portion of the learning is not just in the coursework but in some of the conversations you’re having with your peers,” he says. Since graduating, Stewart has left UNBC to become program manager of business technology at British Columbia Lottery Corp.
JC Boutros was a Vancouver-based vice-president for Pacific Canada for CleanMark Group Inc.–a provider of cleaning services for businesses, hospitals and schools–when he chose UNBC’s Vancouver program for similar reasons: a convenient location and schedule, and real human interaction. “The main thing about MBA programs is working in groups, growing that network and having that real, one-on-one time with an instructor,” says Boutros, now a senior director for CleanMark. UNBC’s Vancouver and Prince George classes aren’t exactly alike. 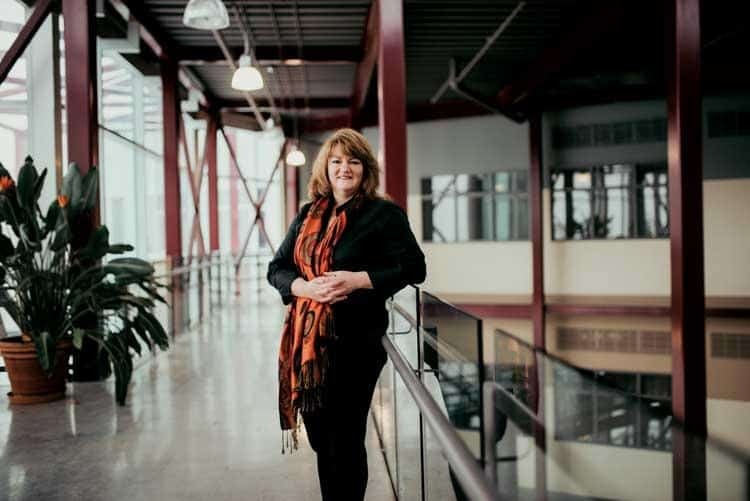 “We do see a different population between the two cohorts,” says Cheryl Wallace, UNBC’s MBA director. The Vancouver students tend to be in their 30s and have technology or finance backgrounds, whereas the Prince George students are typically in their 40s and have forestry or oil-and-gas experience. Gustavson offers a Daytime MBA program that runs full-time for 17 months, while its Weekend MBA holds face-to-face classes one weekend a month for 24 months. The spacing of the part-time program’s classroom sessions gives working students more flexibility, drawing some who commute from as far afield as Calgary. Between meetings, students connect with lectures, other course content and fellow classmates online, so they can make the most of their face-to-face time. “When the students come for a weekend, we spend a lot more time discussing things and doing project work,” explains David Dunne, Gustavson’s director of MBA programs. Nanaimo’s VIU is home to the biggest MBA program in B.C. that most people have never heard of. With about 300 students in class or on internships at any given time, the school’s MBA candidate population rivals Sauder’s. VIU’s MBA remains a relatively well-kept secret at home because the school targets international over domestic students, aiming for an 85–15 split. The mix varies from cohort to cohort depending on the number of domestic applicants, but up to 90 percent of a cohort can come from abroad. The program is delivered in a full-time, 14- to 16-month format that requires students without an undergraduate business degree to take a two- to three-month foundational program at the beginning. Students have the option of earning a dual degree combining a VIU MBA with a master of science in international management from the University of Hertfordshire in the U.K. if they complete an applied, research-based project.